Paul. 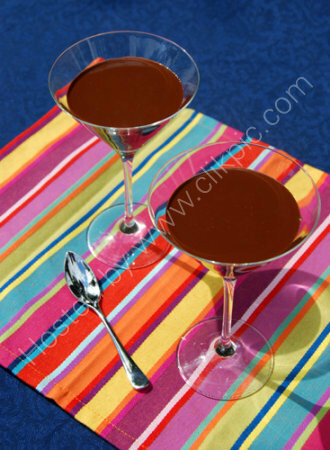 A Young's Chocolate martini.To make this liquor.put 150ml water,100g 70% dark chocolate and 100g caster sugar in a sausepan and bring to a simmer over a low heat,stirring constantly. Remove from heat and allow to cool. Place to 2 large martini glasses in a freezer for about an hour. Half fill a cocktail shaker with crushed ice then add other liquids 4x 25 ml gin,or vodka 25ml vermouth or as Paul frefers Noilly Prat.